Apple on Tuesday introduced a new version of iLife, its software suite that it includes with new Macs. Building on its predecessor, which introduced a feature called “Events” that let you organize photos around specific events, iPhoto ’09 introduces “Faces.” The software uses face-detection and facial-recognition technology to automatically detect the faces of people in the pictures you take and to determine which photos include the same faces. 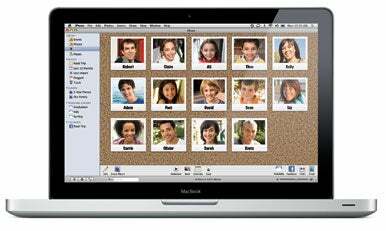 You can assign a name to a particular face, and iPhoto lets you quickly view all photos that include that person (or all photos including one or more of a group of people; for example, the members of your family). “Places” is also new. Like “Events” and “Faces,” Places gives iPhoto users a new way to organize photos. The feature uses geotagging—GPS-based location-finding technology embedded in many newer digital cameras, as well as the iPhone—to determine locations; users who don’t have a camera that supports geotagging can assign locations using Google Maps or by typing in location data. You can then browse photos by location using a map with pins showing where your photos are located. iPhoto has a database of place names for common vacation and travel spots. iPhoto also adds integration with Facebook and Flickr, two popular social networking Web sites. iPhoto ’09 can automatically export photos to Facebook and Flickr, including geotagging data and Faces information (the latter as photo comments); if a Facebook or Flickr user assigns a name to people in your photo, the information will be synced back to iPhoto. New slideshow features include additional themes; new transitions; face detection (which positions faces in the middle of the screen during slideshows); and the capability to export slideshows to iTunes, with transitions, for syncing to iPods and iPhones. (It appears slideshows are exported as videos.) In addition, more themes have been added to photo printing and books, including a “Travel Books” option which incorporates maps produced using geotagging data. The previous version of iMovie was not well-regarded by long-time users of Apple’s consumer-oriented video editing software. A dramatic redesign focused on ease of use at the expense of many features and functions that iMovie users had grown accustomed to. In introducing iMovie ’09, Apple senior vice president of Worldwide Product Marketing Phil Schiller tacitly acknowledged this, and noted that Apple has added “depth and power” to the new release. A new precision editor has been incorporated into iMovie ’09, with an expanded timeline view and "incredible control" for advanced users. Drag & drop of clips has been improved: You can now replace or insert clips, or add just audio from clips, and you can choose different transition points for the audio and video tracks of two clips. Automatic video stabilization is also a key new feature. The software identifies “jittery” motion and reduces it by comparing frames of video to subsequent and previous frames. Other new features include new dynamic themes with titles, transitions and credits, including an “Indiana Jones”-style animated travel map that is customized based on the location you’re shooting from. A new Project Library shows you a filmstrim preview of each project. You can easily adjust the speed of your clips and apply new video effects with instant previews—no rendering is necessary. You can also send video directly to iDVD, as you could with iMovie HD (the feature was missing from iMovie '08). GarageBand, Apple’s music composition software, also gets a major update in iLife ’09. The new release adds “Learn to Play": Built-in High-Definition (HD) videos of instructors offering you lessons in how to play musical instruments. Nine basic lessons for guitar and piano are available to start; you download them when you need to use them. “Artist Lessons” helps you learn how to play popular songs directly from the artists themselves. John Fogerty, Colbie Caillat, Patrick Stump (of Fall Out Boy) and Sting show off guitar skills, while Sarah McLachlan, Ryan Tedder (of One Republic) and Norah Jones demonstrate their piano-playing techniques. You can view lyrics and notation for each song; play along (slowing down the song—the track's pitch is unaffected, but the artists voice is removed—for easier learning, if desired); and create your own mixes using the song. These lessons will be available for purchase for $4.99 from directly within GarageBand. Apple's iWeb Web publishing software has also been updated. iWeb ’09 adds new iWeb Widgets, which enable users to embed mini-applications on their Web pages such as iSight video and photos, a countdown timer, YouTube videos, and RSS feeds. At long last, iWeb has also integrated publishing using File Transfer Protocol (FTP), which enables iWeb users to publish their sites to any hosting service—up to now, the software has relied on a .Mac/MobileMe-centric publishing system that made it unwieldy for the average user to use their own site to post iWeb-produced content. iWeb ’09 also can automatically push site updates to your Facebook profil—link an iWeb site to your Facebook account, and when you post an update, iWeb adds the changes to your profile. According to Apple, iDVD, the DVD creation software, has not been updated. iLife ’09 costs $79, with a family pack (good for five Macs in one home) for $99, and requires Mac OS X 10.5 Leopard. To entice existing Mac users who have yet to make the switch to Leopard, Apple is also offering the Mac Box Set, which includes iLife ’09, iWork ’09, and a copy of Leopard, together for $169 (a savings of $118 if purchased by themselves). The bundle is expected to ship at the same time as iLife ’09, in late January. 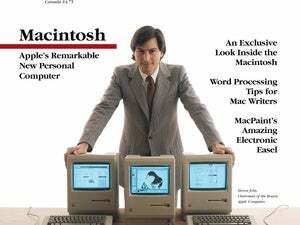 12:57 PM PT: Added details about iWeb '09 and Mac Box Set. 10:52 AM PT: Added details about iWeb ’09. 9:51 AM: Added pricing details and information on GarageBand ’09, iWeb and iDVD. 9:40 AM: Added details about iMovie ’09. 1:30 PM: Added details about iPhoto, iMovie ’09, GarageBand, iWeb, and iDVD.